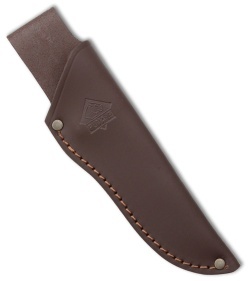 The Puma IP Montero is a robust fixed blade knife ready for the trail or your next hunt. The wide 4.625" blade can easily split and process wood or any medium to large game. 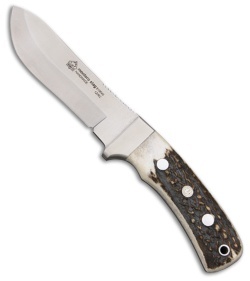 Wide genuine stag handle scales are pinned and epoxied to the full tang blade for a secure and reliable handle. Polished nickel silver bolster doubles as a finger guard for a secure grip. Carrying the Montero is a breeze with the Montero's embossed dark leather sheath.